Gethin Jones’ wealth of TV experience and huge popularity has helped establish him as an accomplished event host on the corporate circuit. With his varied background in sports, arts, TV and business, he appeals to a wide array of audiences. 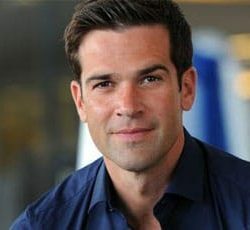 Gethin Jones is a broadcaster and TV personality who first burst onto the screens in the UK as a presenter for the longest running children’s show in the world, BBC’s Blue Peter. Born in Cardiff, Wales, Gethin went on to obtain a degree in Economics and Geography at the University of Manchester. A talented violinist and pianist as well as an accomplished sportsman, Gethin began his career on screen presenting the Welsh version of Top of the Pops, Popty, on S4C, but it was Blue Peter which cemented Gethin’s reputation as a talented and confident presenter in 2005. The show saw Gethin visit thirty one counties, taking on the most extreme and obscure challenges of his life, from flying with the Red Arrows in a WWII Spitfire to being attacked by an alligator in a Louisiana swamp, as well as racing a horse at 40 mph, skating the infamous Cresta Run in St Moritz, fighting as a Samurai warrior in Japan and surviving a life-threatening submarine escape training exercise. Gethin also proudly became the first ever civilian to finish the UK Royal Marine Commando 30 mile Yomp – finishing in eight hours and twenty minutes. In 2007 Gethin made the semi-final of BBC1’s Strictly Come Dancing. In 2008, he hosted his own show, Gethin Jones’ Danger Hunters for Virgin1, and also presented live from BBC’s Proms in the Park, and the prolific Police, Camera, Action for ITV1, a role which continued for two years. In 2008 he presented Proms in the Park from Swansea, furthering his partnership with the BBC’s Last Night of the Proms coverage. 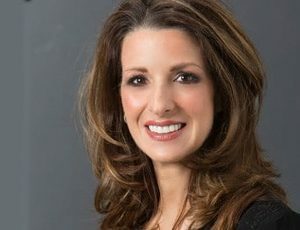 That year also saw Gethin’s radio debut on BBC5 Live’s Gethin Jones Show, presenting a three-hour Saturday morning show focussing on sport and entertainment. Gethin presented energy quiz show Sell Me The Answer for Sky1 in 2009, as well as doing a guest stint hosting on the red sofa for BBC1’s The One Show, and concluded the year as Prince Charming in Cinderella at the Yvonne Arnaud Theatre in Guildford. 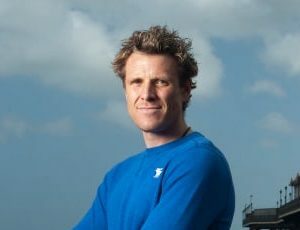 The following year he continued his live reporting at the Golden Globes, fronting Red Carpet Live for Sky1 Movies, and also co-hosted 71 Degrees North with Kate Thornton for ITV. 2010 also saw Gethin return to the stage as the Narrator in The Rocky Horror Show at Venue Cymru, Llandudno. That year also saw Gethin begin his ongoing commitment to Remembrance Day. Having visited and reported from Iraq and Afghanistan numerous times, Gethin hosts BBC1’s Remembrance Week, a series of special shows which recognise and remember those who paid the ultimate sacrifice for their country. This series has won an RTS award for Best Daytime Show. In 2015 Gethin found himself back near the dance floor, hosting Dancing With the Stars: All Access, the spin off show for the US version of Strictly Come Dancing. In the same year he also presented Fear: Buried Alive for the US network channel A&E. 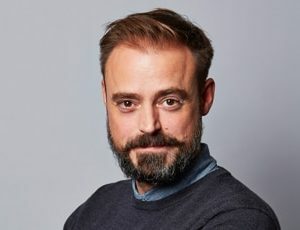 Gethin’s wealth of experience with some of the most established shows on TV has lead him to become a popular event host on the corporate circuit. As an ex professional rugby player, musician, keen adventurer and holder of a degree in Economics and Geography, Gethin appeals to a wide array of audiences.